Remodeling a bathroom is a surprisingly fun project when you have the right products at budget-friendly pricing and a dedicated team to guide you throughout. That’s what we provide, make the most of your remodel with ProSource® of Atlanta, your project partner. 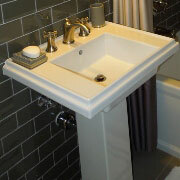 Sinks can be as simple or elaborate as you would like. 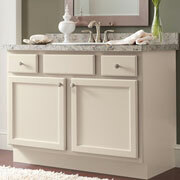 Consider a pedestal, shroud, or vessel sink, then select the color, material, and shape. When you work with ProSource of Atlanta, the options are vast. 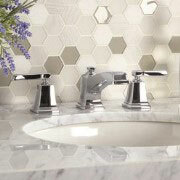 The faucet of any sink is a piece of functional art, and you want it to complement the sink. Our sink faucet displays show it is possible to equip bathrooms of all different types, whether you’re going traditional, contemporary, or modern. For many people, the shower is a place to relax, think, and refresh. It should be an inviting, pleasant, and functional spot. When you work with ProSource, we’ll help you choose the perfect shower configuration that can be enjoyed for years. There’s always a lot of things to store in the bathroom. That is where bathroom vanities come to the rescue. Turn to ProSource of Atlanta, and we’ll help you create the perfect combination of counter space, storage space, and more. The options are endless when it comes to tubs, which can come in all kinds of shapes and sizes. 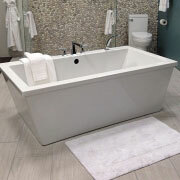 Browse our selection of jacuzzis, traditional tubs, and shower-tub combinations for the perfect remodeling results. 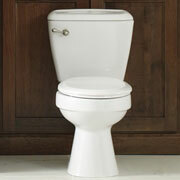 As as important part of the bathroom, the toilet should be central to any remodeling project. Let the team at ProSource of Atlanta guide you through an array of toilet options to find the unit that aligns with your goals.